Note: Payment fulfillment by Gobble. Give InKind has an affiliate relationship with many of the advertisers on our site, and may receive a commission from products purchased via this link. 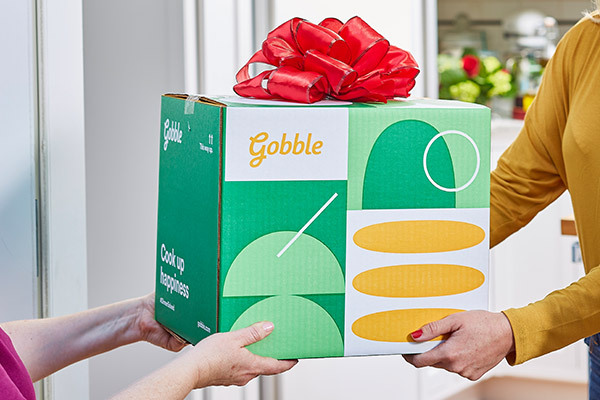 Give a new parent the Gift of Gobble. 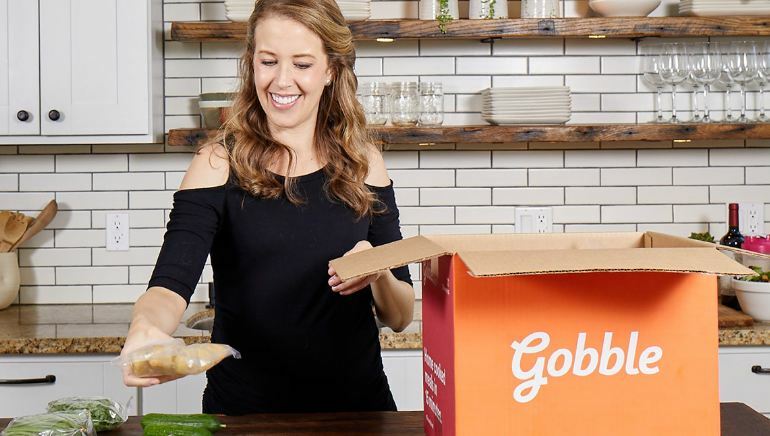 Gobble is a delivery of freshly prepped gourmet meals that are ready in just 15 minutes. Voted #1 Meal Kit by Parents Magazine. Gobble's chefs do all the prep work, like peeling, chopping & marinating, so you can cook a fresh homemade dinner in just 15 minutes. Get dinner on the table - even when you aren't there to deliver it or they aren't where there are delivery services just yet. (And even so, the smell of dinner in a house can be a really nice thing). Why We Love This Gift: Ask a veteran mom about a memory of early momdom and she will likely recall attempting to cook a meal with an infant. When there is success the meal is more than a meal - it is competence regained. It is evidence that despite seeming evidence to the contrary that you got this. Plus, it is pretty cozy to have success with a home cooked meal, babies. Nothing beats it. What To Say in Your Card: Congratulations! Now you can even have a glass of wine.